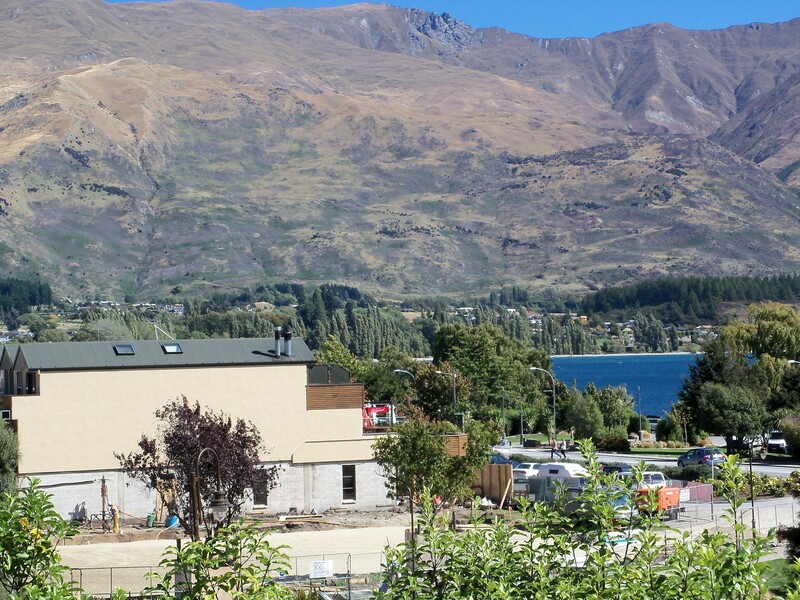 In 2016, we’ve fulfilled our commitment to Treble Cone and Geosolve (abseil inspections and assessments) and did some scaling and geotextile installation at Queenstown Hilton Site for Civil Construction Ltd.
Ready to… come in strongly in 2017! We wish to present here the very efficient rock fall solution by the Company Elite, with whom we are in close contact. We have been working for them 15 years ago on one of their trial test and we regularly meet their sale representative, in NZ and in France recently. 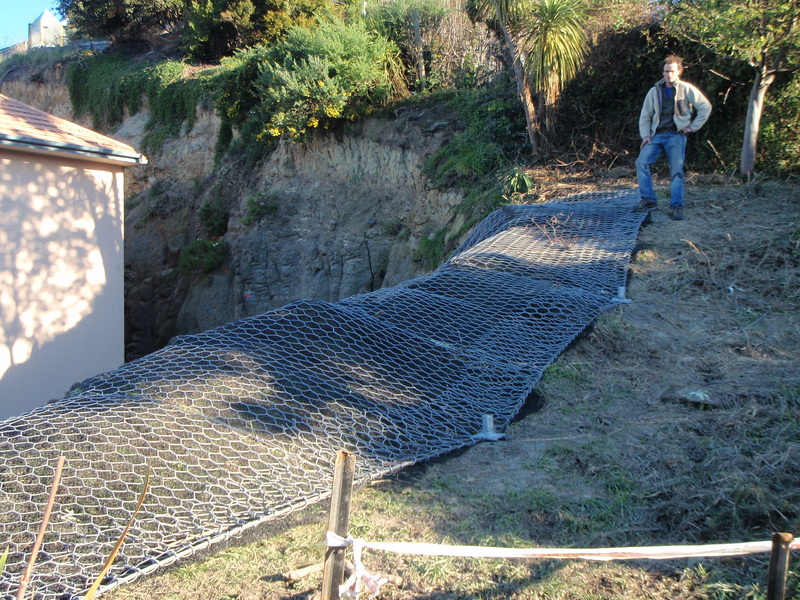 They have specialized for 20 years on designing, conceiving, installing and testing rock fall barriers and screens in parallel with any other rock stabilization works. We suggest you have a look on their site www.elitegts.com, especially on their Elite 5,000kJ product. all absorption capacity relies on dissipators to dynamize the potential impact. 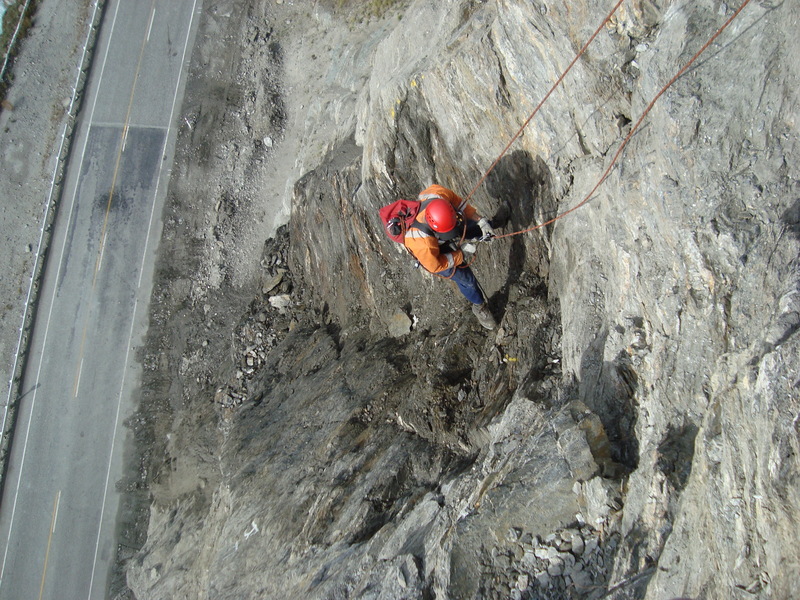 Active rock catch is the key, as in rope access safety in general. 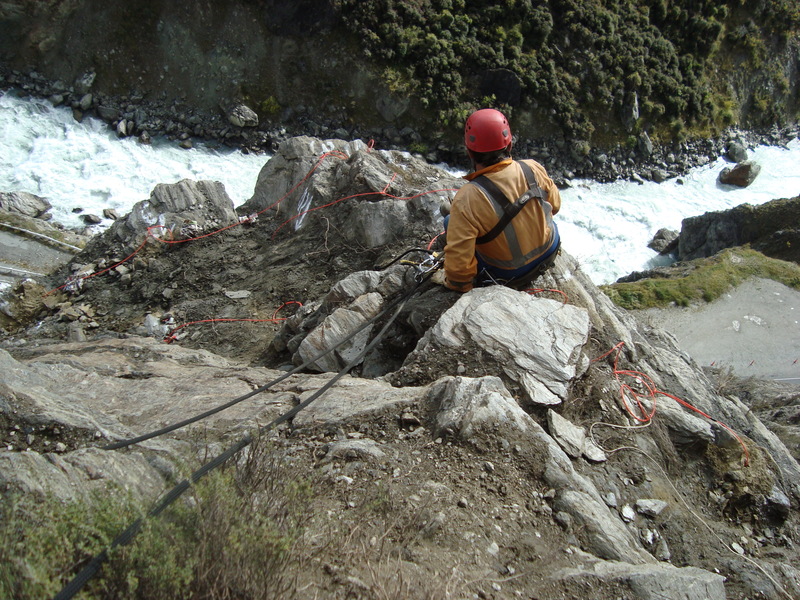 The Elite system is made up to be installed by abseil drilling means, closer to the potential instability, reducing cinematic and uncertainty on blocks travel. With kilometers already installed in Europe, this product has made its way. There is surely a scope for them on the Milford and the West Coast roads. We are ready to import and install them (only mesh, brakes and patent need to be brought in; the rest can all be done here: posts, cables and anchor systems). 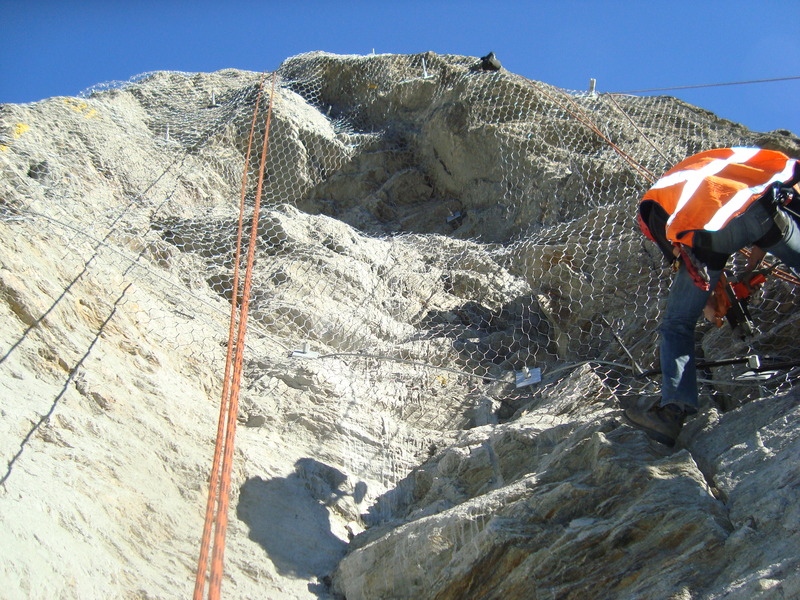 Twice in the last two years, we were booked to come and stabilize cliffs around Christchurch when another earthquake brought more damage and obliged to reassess the plans. At last, we were called by a large local abseiling company, who has been granted the contract by Fulton Hogan despite no previous experience in drilling. At McCormick reservoirs in Sumner, the initial design, a self-drilling system, didn’t work for 2 weeks until I managed to convince everybody that an open hole strategy had to be deployed. Conclusion: Always ask the experts and experienced first! 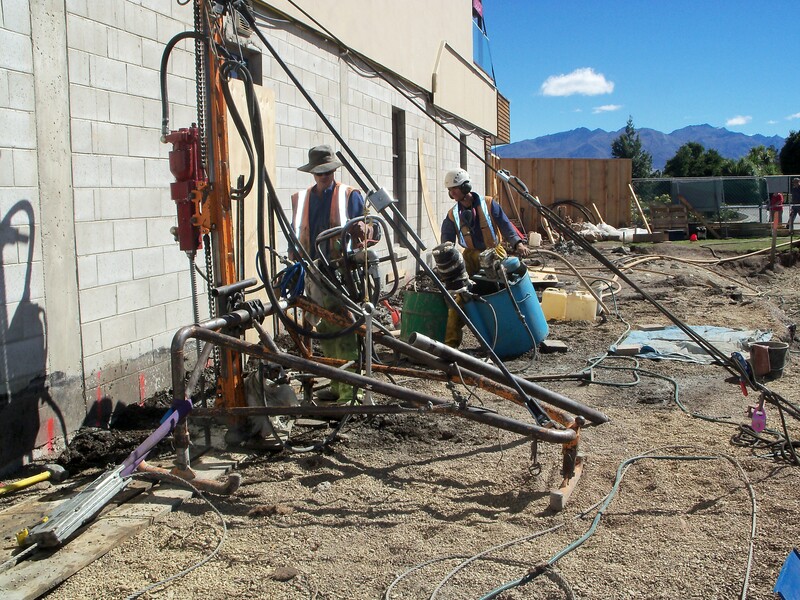 Creating two lines of concrete piles close to a building to enable safe foundations for a new construction, right on the lake front in Wanaka. Using our new multishank rotopercussion unit , we have drilled 80 holes 1.20 meters deep and used thick grouts as a flushing medium. We are now able to provide our clients with self-drilling anchors R25 to R38 with our new rotopercussion unit specially designed for that purpose. A perfect complement to our grouting and testing systems. 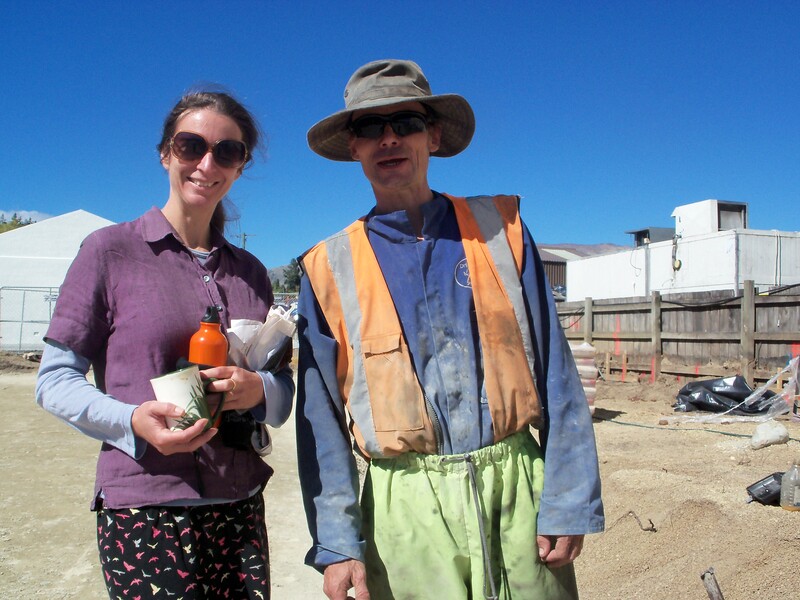 We will still be happy to use our downhole hammers in good rock! 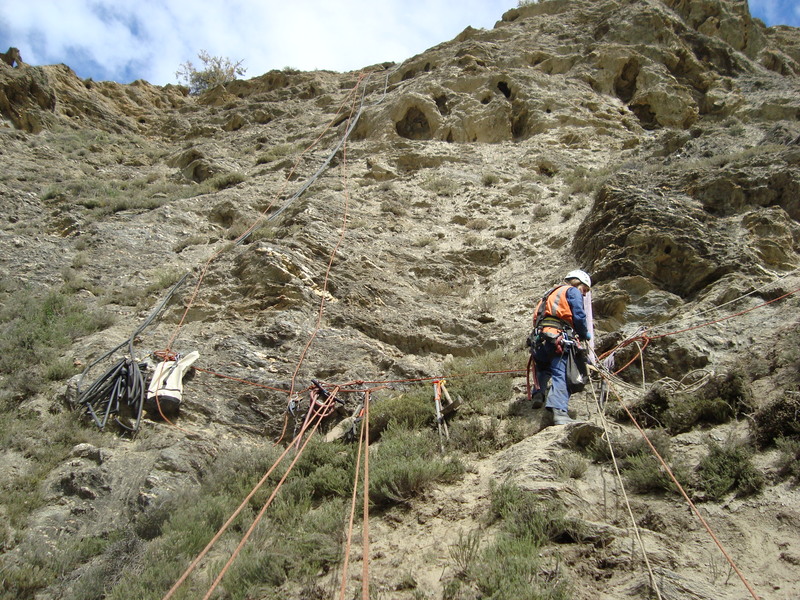 In association with Downer Edi Works and Opus International, we have scaled and blasted 2 rock features from the 230m high face: Epsilon VI and the Lower West Column for a total amount of 35 cubic meters. 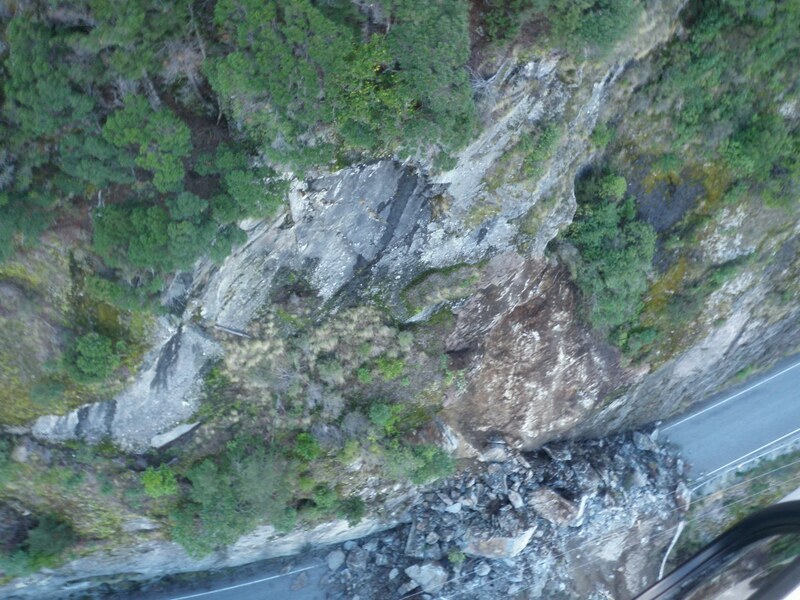 These features that are regularly monitored by Opus, were highly fractured and threatened the road and traffic below. After the rock removal, we have drilled, installed, grouted and tested 10 rocks bolts (between 4.5 and 9 meters deep) at 100 meters high on the West column. Also for reinforcement purpose, we then carried out a complete installation of a mesh on the Lower West Column, in a very overhanging zone. The location of anchors is carefully chosen to make sure the mesh fits well. We want to thank the road users for their patience that allowed the State Highway 6 to be safer between Cromwell and Queenstown. 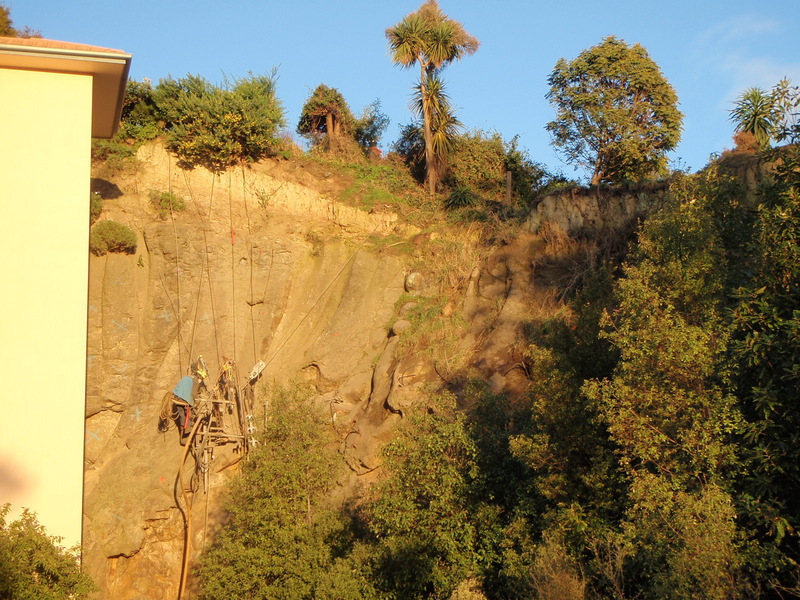 Due to consecutive rock falls on the cliff at the end of the retirement centre building, 17 rock bolts were drilled and a mesh was installed. 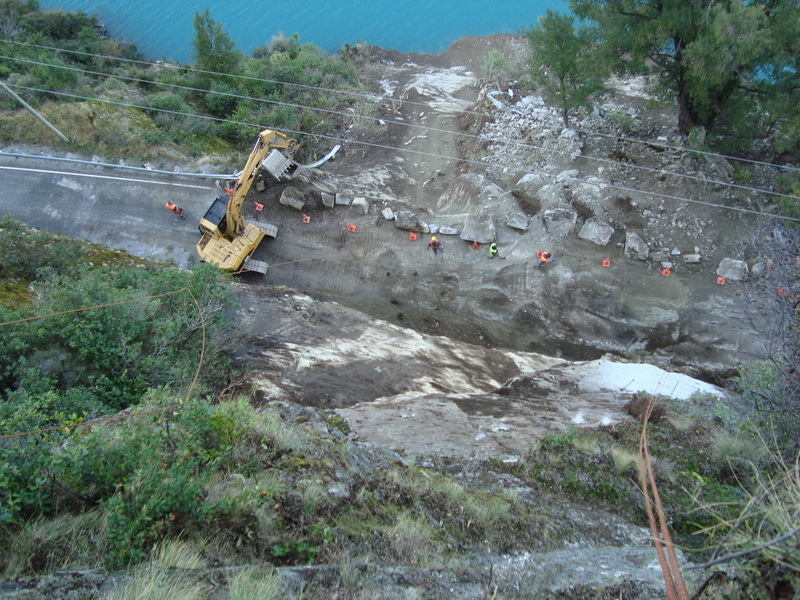 In an emergency response to the rockslide on the Glenorchy-Queenstown road in May 2010, we intervened during the week-end to test the rock stability so that it reopened the following Monday (read the Otago Daily time article). 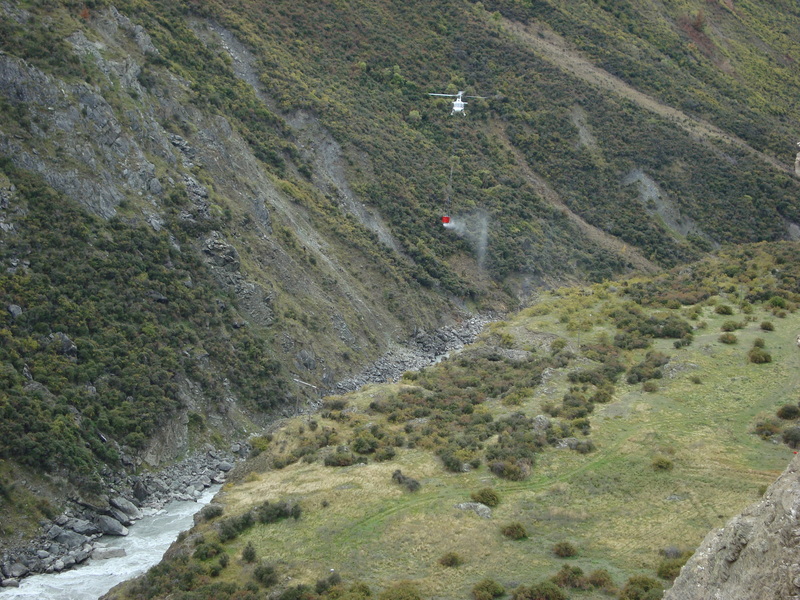 The helicopter dropped us off above the cliff, we scaled all the loose rocks. Then, we anchored the large rock of concern, so that a digger could tug it from the road with a cable. When no movement was observed, it was deemed safe enough to reopen the road, once cleared.